Hey, look at that, the next version of Android being mentioned in an official Google I/O session description. Yep, Android M is coming at Google I/O at the end of this month. Seriously, a new version of Android is already here, even though Lollipop is only on 10% of Android devices. I would imagine that Android M will be given to attendees as a preview, just like Google did last year with Android L, which ended up being Android 5.0 Lollipop. 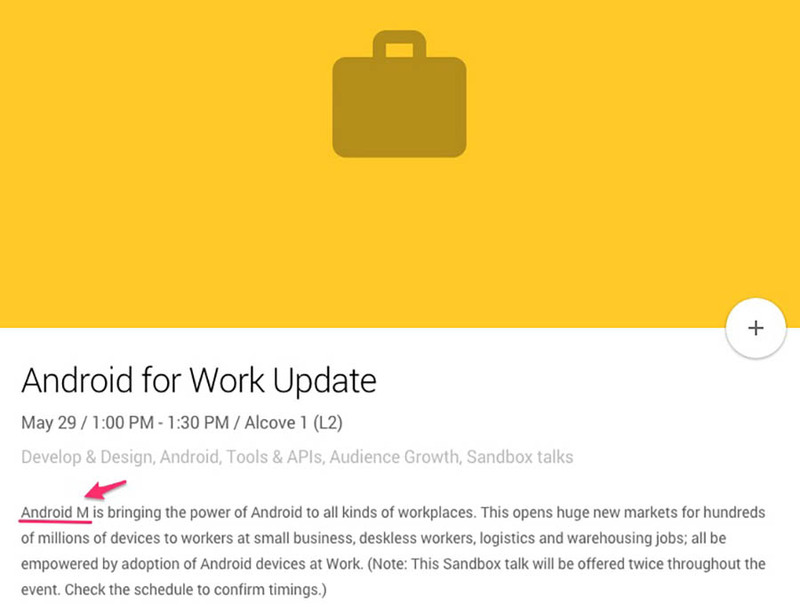 Update: Google pulled the “Android for Work Update” session. Whoops!